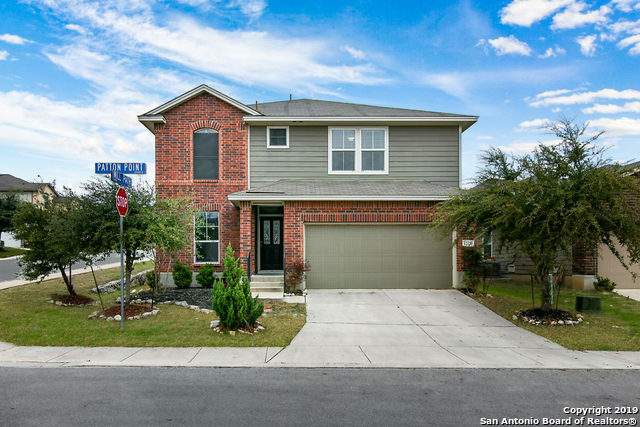 All LAURA HEIGHTS homes currently listed for sale in San Antonio as of 04/22/2019 are shown below. You can change the search criteria at any time by pressing the 'Change Search' button below. "Located in the gated subdivision of Lauren Heights, this home has been completely renovated! New floors, new carpet with 5 yr warranty, paint, mouldings, granite countertops, subway tile and shiplap wall! All bedrooms are large with full size walk in closets. Master bedroom down and three bedrooms up with huge game room. This home is immaculate and ready to be called home! Conveniently located near 1604/ Galm/ Shainfield, government canyon, schools, UTSA, Lackland AFB, shopping centers and so mu"
"Beautiful home! Offering a lots of space. open kitchen, 42 cabinets, master retreat on the main level. Low maintenance backyard. Must see!" "Motivated Seller on this Beautiful home in Laura Heights. This 4 Bedroom home has an open floor plan with large Family Room and Game Room. With one of the larger floor plans in the neighborhood, It's a great home for a family. Stainless Steel appliances in the kitchen. Level Back yard. Walking distance to the community pool and park." "This GATED COMMUNITY, MOVE IN READY HOME has everything you need with stainless steel appliances to conform with the GRANITE Countertops along with New Flooring, Fresh Paint, a backyard deck surrounded by trees that create a shady spot for adults to enjoy and kids to play."